Donsol whale watching – you’ve probably heard about this ecotourism attraction in Donsol, Sorsogon. Sorsogon is an obscure town located at the south of Luzon island in the Bicol region, Philippines. The place is famous as a whale shark viewing destination for tourists. The area surrounding it has been known as the greatest concentrations of whale sharks in the world. 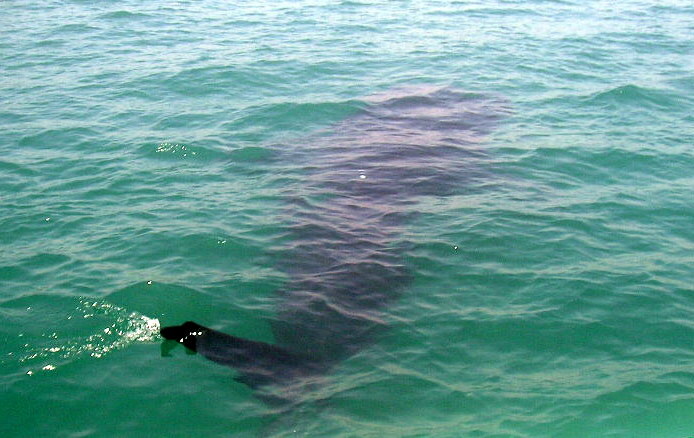 Tourists as well as local visitors can have the chance of swimming with the whale sharks. Whale sharks are abundant between November and June of the following year. The presence of these spectacular species peaks in the bordering seas of Sorsogon between February and May. Butanding or Whale Shark, the biggest fish in the world. as the Best Animal Encounter in Asia in 2004. Donsol, the “Whale Shark Capital of the World”. Residents of Sorsogon have witnessed this phenomenon for over 100 years but were afraid to go near the gentle sharks because they think these species were harmful. The wrong belief of the residents only changed in 1998 when a unit of scuba divers interacted with the whale sharks to an extent that they came in contact with the sharks. By then, it will have been a popular visiting place for tourists. However, Donsol whale watching interaction and activities are strictly monitored by the Department of Tourism. Butanding or Whaleshark Festival is celebrated annually for a month usually between April and May. . 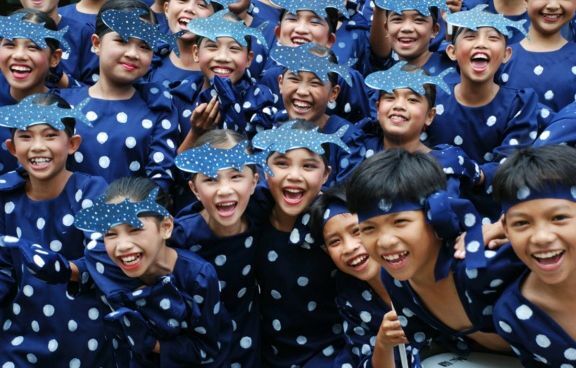 The highlight of the festival is the street parade competition where competitors from different schools and towns vie for the hefty cash prize and the prestige. One can go to Sorsogon through Legazpi City in Albay after an hour flight or ten hour bus ride from Manila. You must go to the Donsol Visitors Center where forms are to be filled together with video presentation. 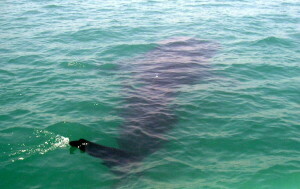 It is also here where you can hire a boat for the whale shark watching trip. From the Poblacion or the town proper, you can now ride a tricycle to Barangay Dancalan. Other activities offered in the area is the unique firefly tour and the shrimp-catching night tour both of which is available all year round. It also serves as the best jump off place and base for divers going to the Manta Bowl as well as to San Miguel Island in Ticao to avail of the better tourist facilities in those areas. It also boasts of a good biking area and great trekking site due to the presence of numerous hilly areas and fields. Indeed, Donsol whale watching is a close encounter with this huge but meek mammal. If you have any query or travel issues, feel free to contact the local tourism office.